“THOSE WHO FELL BY THE WAYSIDE. Scenes like this were common all over the Armenian provinces, in the spring and summer months of 1915. Death in its several forms—massacre, starvation, exhaustion—destroyed the larger part of the refugees. The Turkish policy was that of extermination under the guise of deportation.” Picture showing Armenians killed during the Armenian Genocide. Image taken from Ambassador Morgenthau’s Story, written by Henry Morgenthau, Sr. and published in 1918. Image Public Domain via Wikimedia Commons. President Barack Obama declined Friday to call the 1915 massacre of Armenians a genocide, breaking a key campaign promise as his presidency nears an end, reports now say. 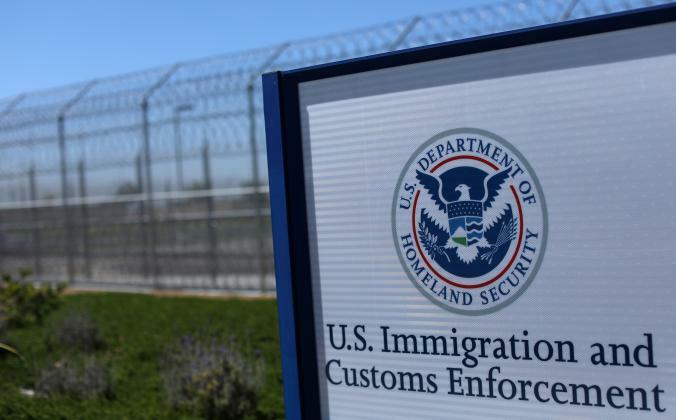 “Armenian-American leaders have urged Obama each year to make good on a pledge he made as a candidate in 2008, when he said the U.S. government had a responsibility to recognize the attacks as genocide and vowed to do so if elected. Obama’s failure to fulfill that pledge in his final annual statement on the massacre infuriated advocates and lawmakers who accused the president of outsourcing America’s moral voice to Turkey, which staunchly opposes the genocide label. In 2015, during remarks observing the 100th anniversary of the event, Pope Francis describes it as “the first genocide of the 20th century.” Turkey responded by recalling their ambassador to the Vatican. Turkey recalled their ambassador to Austria after the Austrian parliament passed a resolution recognizing the Armenian Genocide, also in 2015. One hundred and one years ago this month, the Ottoman Empire began carrying out a systematic plan to exterminate its minority Armenian population. Approximately 1.5 million people were killed or died of starvation. On April 24, 850 intellectuals, doctors and writers of the Armenian community were rounded up in what was then Constantinople and later executed. That was just the beginning. The spring and summer of 1915 became the bloodiest in Armenian history. Men and older boys were separated from the rest of the population and killed without question. Women, children the elderly and the disabled were forced into long death marches into the Syrian dessert with no food or water given them, and those that survived the march were placed in annihilation camps. For a documentary that is worth watching, please view the following. We can not write a summary that can do better justice to the Armenian Genocide controversy than this. The images and descriptions of the methods used to carry out the extermination of the Armenian peoples by the ruling Turkish government presented in this film are the blueprint for the subsequent genocides of the past one hundred years. Warning: Not for the weak of stomach or those who seek “quick videos” to explain things. Running time: 93 minutes. Long before humanity knew about the horrors of Auschwitz, the Turkish government demonstrated the depravity of government force over vulnerable populations. Long before we knew of the term, genocide became a practice so routine that the Turkish government remains in denial of it to this day. 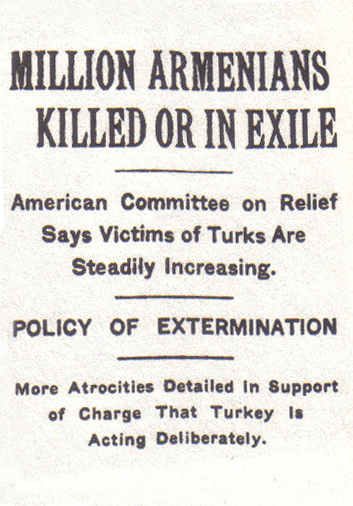 An article by the New York Times dated 15 December 1915 states that one million Armenians had been either deported or executed by the Ottoman government. Image via Wikipedia. 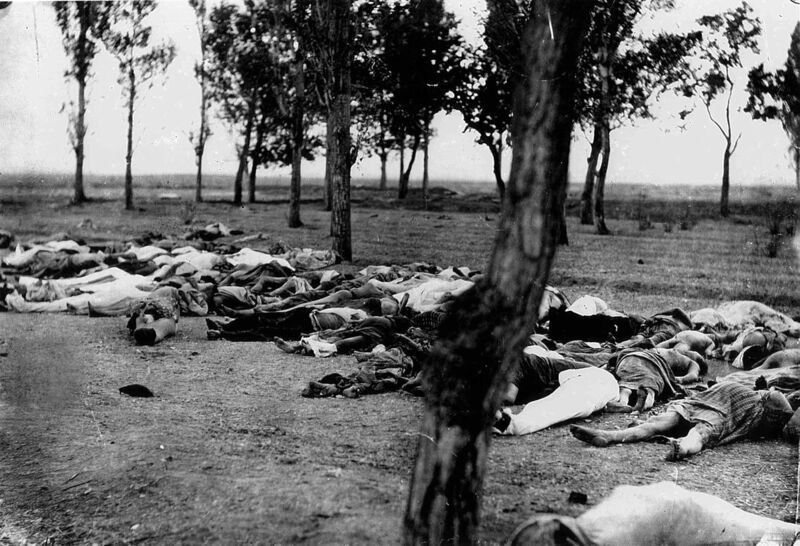 Standing on arguments of the numbers of deaths and whether it was intended to eliminate the entire Armenian group, the Turkish government refuses to accept the term “genocide” in reference to the Armenian slaughter. It is not part of their official recognized history; existing laws in Turkey basically prohibit and criminalize mentioning or talking about the Genocide. According to Turkey, “our memory does not support the Armenian narrative on the events of 1915, [but] it is only Turks and Armenians who can effectively address their issues together and work jointly to find ways forward. Turkey is ready to do its part”. They argue there is no “evidence”, no one is demanding the recognition, and that the death count could not possibly be as high as claimed. The University of Minnesota’s Center for Holocaust and Genocide Studies has compiled figures by province and district that show there were 2,133,190 Armenians in the empire in 1914 and only about 387,800 by 1922. Figures don’t lie, but liars figure. 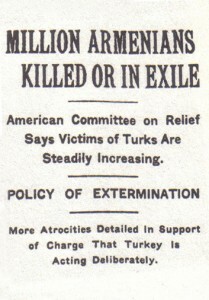 This year, the Wall Street Journal published a full page advertisement denying the event as a genocide. Despite these efforts, currently there are 20 countries that officially recognize the Armenian Genocide. In the United States, more than 40 states, including California, have passed proclamations recognizing the Armenian Genocide. Additionally, the House of Representatives has passed legislation also recognizing the Genocide, lastly in 1996. Map of massacre locations and deportation and extermination centers. Image via Wikipedia. In 1915, the New York Times alone ran 145 articles reporting the Armenian crisis. The world was aware. No one did anything. Turkey is now doing this to the Kurds in SE Turkey. The main stream media remains silent. Will you? Editorial Note: This article is comprised of numerous quotes from the Resource Articles listed above. Review of these articles will provide even broader perspectives than those represented here. Carol Benedict is an independent researcher and human rights activist. She has been studying Kurdish history, culture and politics for over 3 years. This entry was posted in Civil Rights, Corruption, Government, Human Rights, Human Spirit, Kurds and Kurdistan, Media Issues, Memorials, Religion, War Crimes and tagged Armenian Genocide, Armenians, Atrocities, Auschwitz, Erdogan, Genocide, Jews, Kurds, Obama, Raphael Lemkin, Turkey, War Crimes on April 24, 2016 by MNgranny. Turkey responded by recalling their ambassador to the Vatican. This entry was posted in Civil Rights, Government, Human Rights, Human Spirit, Memorials, War Crimes and tagged Armenian Genocide, Armenians, Atrocities, Auschwitz, Genocide, Jews, Raphael Lemkin, Turkey, War Crimes on April 24, 2015 by MNgranny.